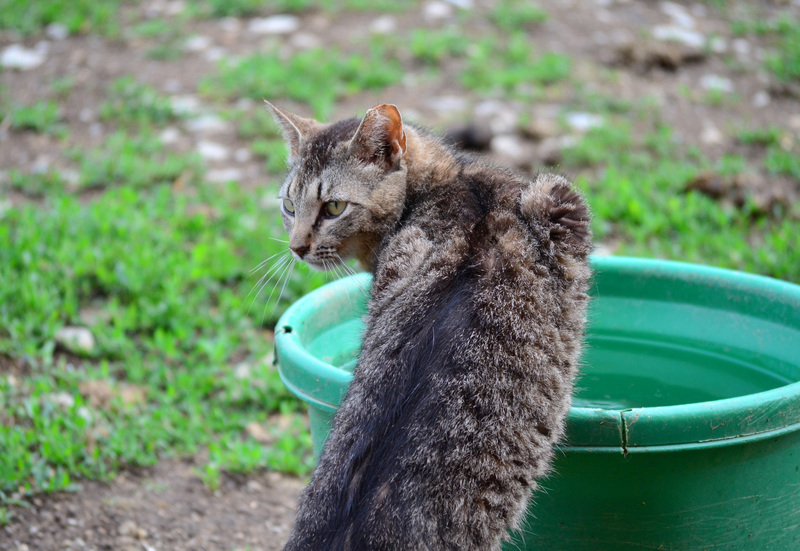 The water bucket was a popular spot around the farm. Many of the cats would defend the water, chasing others off when they came too close. Though this cat was born on the farm, he did not have an official name and was only called No Name Tabby.